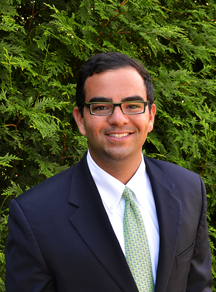 Welcome back to the second blog in our series, MACRA: Navigating The Final Rule, dedicated exclusively to helping you navigate the murky waters of the Medicare Access and CHIP Reauthorization Act of 2015 (MACRA). 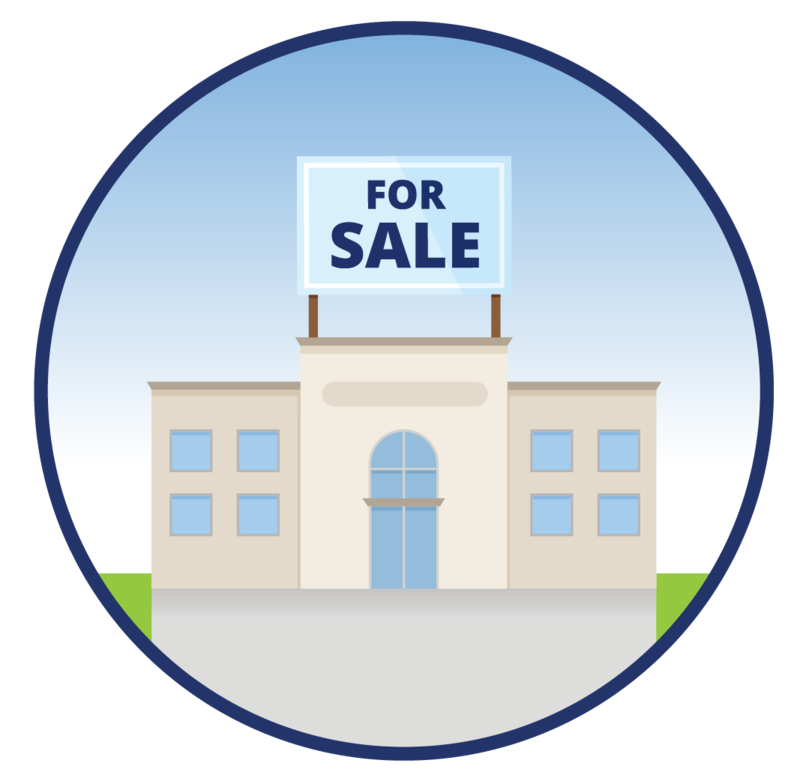 In case you missed it, be sure to check out the first blog in our series to learn more about key changes your practice will see during the 2017 transition year of the new Quality Payment Program (QPP). 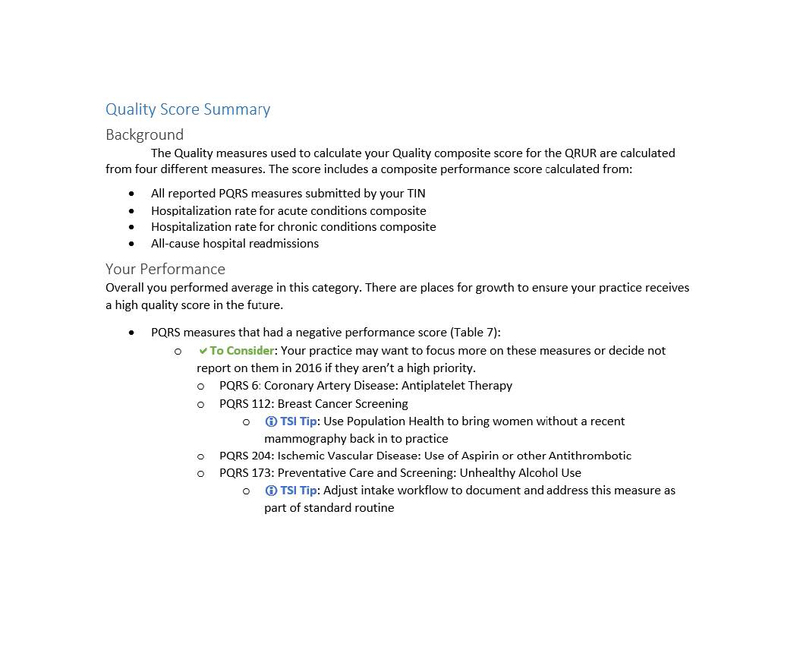 This blog will outline changes from the QPP proposed rule regarding the MIPS Composite Performance Scoring Categories for 2017 and beyond. Weight: Because the 2017 performance year will be a transition year for MACRA, CMS announced that the Quality category will be weighted at 60% (ONLY for the 2017 performance period). The weight placed on the Quality category will decrease to 50% in 2018 and 30% in 2019 and beyond. In the proposed rule, the Quality category was weighted at 50%. Cross-Cutting: CMS has eliminated the cross-cutting requirement and stated that eligible clinicians (EC) only have to report on ONE outcome measure. The proposed rule stated that EC were required to report on one cross-cutting measure AND one outcome. Data Completeness: As part of the changes made in the final rule, EC will now be able to submit 50% of patient data across all payers and not only Medicare Part B patients. 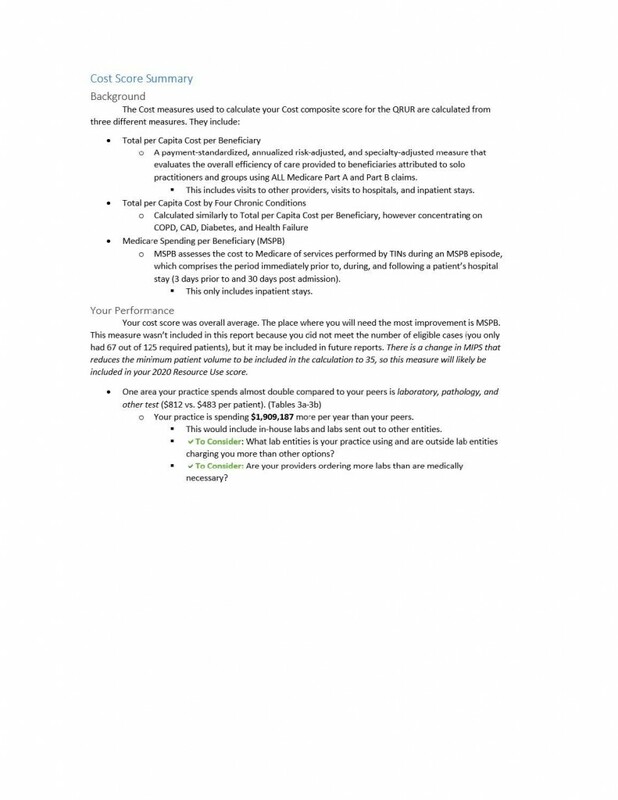 Currently in the PQRS program, EC are required to submit 50% of all Medicare Part B payer data. Optional Objectives: “Coordination of Patient Care through Patient Engagement” and “Public Health and Clinical Data Registry Reporting” objectives are now optional. Though a public health registry is not required as part of the ACI category, EC that have a registry are able to receive a 5% bonus. Due to this change, EC will now only need to complete 6 objectives in order to receive full credit for the ACI category. The proposed rule required that 10 objectives be completed in order for EC to receive full credit. Special Considerations: In addition to small practice special considerations discussed in our previous blog, CMS announced that small practices with 15 or fewer EC, located in rural areas, and health professional shortage areas (HSPAs), will only be required to submit half the amount of required activities in order to receive full credit. Practices given special consideration will be required to complete 1 high-weighted or 2 medium-weighted Improvement Activities to receive full credit. Practices without special consideration will be required to complete 2 high-weighted or 4 medium-weighted, or any combination of both Improvement Activities to receive full credit. Improvement Activities Subcategories: CMS also included the eight subcategories that practices can be evaluated on in this category. EC must select a combination of Improvement Activities from 90+ options for the chance to earn a total of 40 points. EC were required to earn 60 total points in the proposed rule. New Weight: Due to the 2017 transition year, the Cost category will be weighted at 0% (ONLY for the 2017 performance period). However, the weight for this category will increase to 10% in 2018 and to 30% in 2019 performance year and beyond. This is a change from the proposed rule which stated the Cost category would be weighted at 10%. 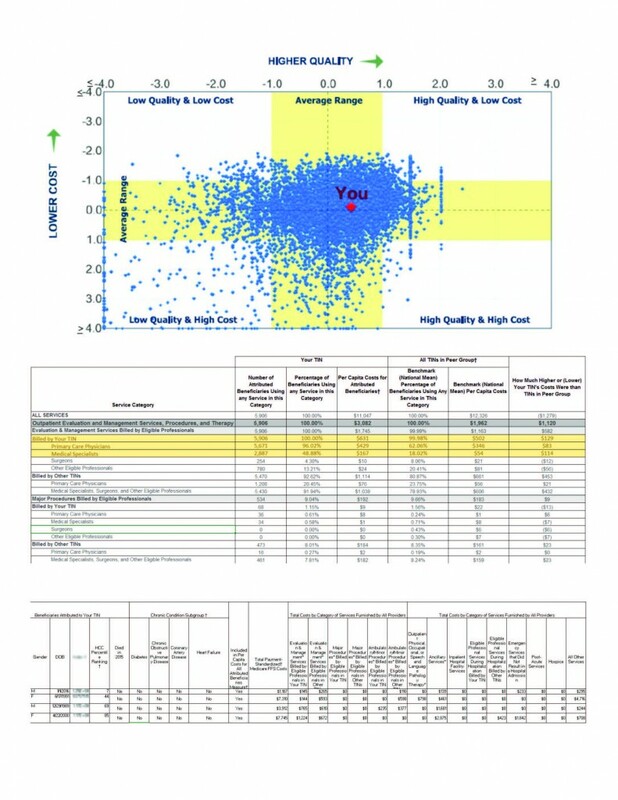 Quality and Resource Use Reports (QRUR): Since implementing a Cost category as part of QPP, eligible clinicians will now be scored on the cost effectiveness of their care beginning in 2018. While this category will not be included in your MACRA score for 2017, you will receive feedback on this reporting category. TSI Healthcare Bonus: As part of our new service line, Quality Program Services, TSI Healthcare will offer QRUR reports and analyses that can identify top spending categories and help you determine areas that need improvement to increase the cost effectiveness of your care. 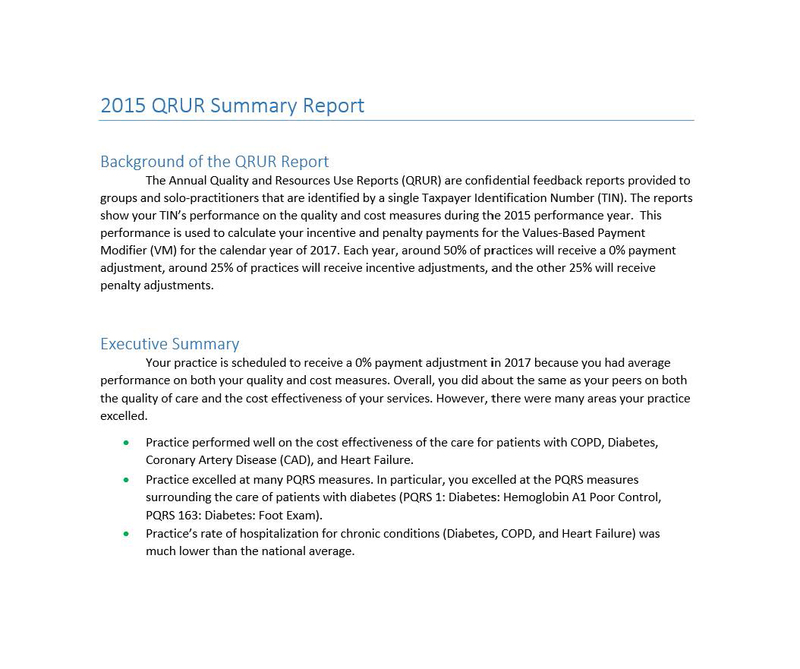 View a sample QRUR report below. to learn more about the changes that will take effect in 2017. Stay up-to-date on all of the latest information pertaining to MIPS and MACRA. Ready to Join the TSI Healthcare Family? Let's Talk. Copyright © TSI Healthcare. All Rights Reserved. 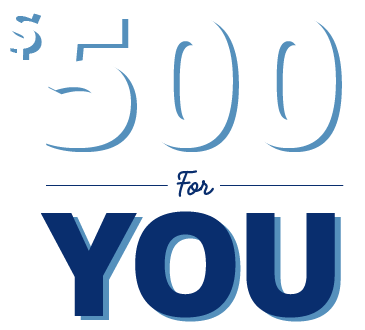 * You earn $500 Visa gift card when they join the TSI Healthcare family. At TSI Healthcare, we respect your right to privacy. 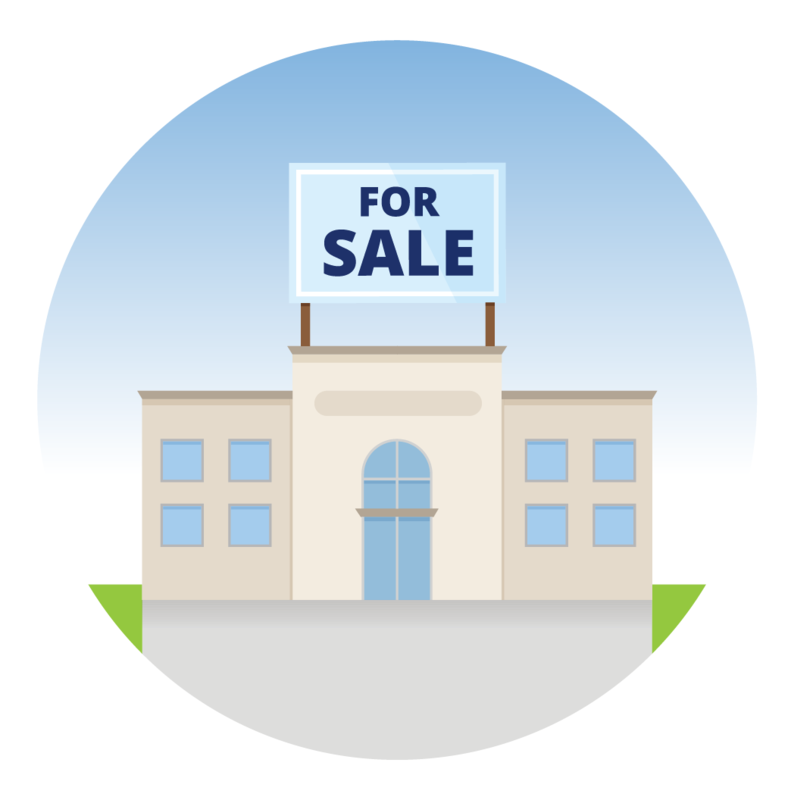 We do not sell, rent, swap or otherwise disclose any of this information to third parties.